Do I have to come to the police station to file a report? No, in fact we prefer that you call from the scene of the crime (if it is safe), your residence, or your business. Check fraud, transaction card fraud, and other bank-related cases are often best reported during business hours at the bank itself. A police officer will be dispatched as soon as possible to respond directly to your location and speak to you in person. Response times vary based on call priority, traffic, and other factors, but it is the department's goal to respond as quickly as possible. It is our policy to take reports in person. Only in rare instances are reports filed over the phone. How do I get a copy of a police report / accident report? Come to the Records Office at the Police Department headquarters at 180 Lockwood Boulevard. The cost of the Police report is $5. Be sure and bring a state issued ID / license. You must be able to provide information about the report you are requesting such as: incident, location, date, time, victim, suspect, etc. 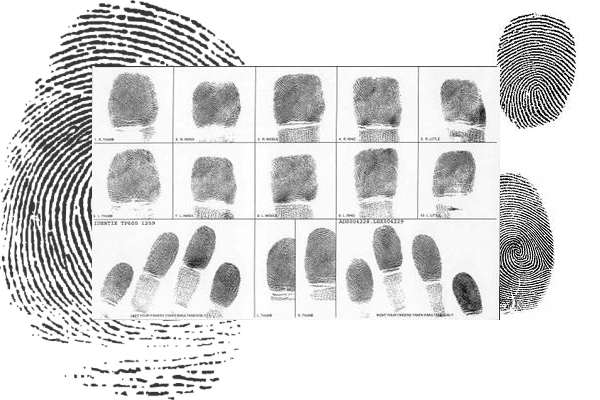 How do I get a background check and / or fingerprints made for a job? Effective Monday, May 5, 2014, the Charleston Police Department will no longer provide background checks. Offered Monday through Friday, 8:00 a.m. to 5:00 p.m.
You must bring the fingerprint cards provided to you by the employer / organization / agency. We DO NOT provide fingerprint cards. How do I hire an Off-Duty Police Officer for security? 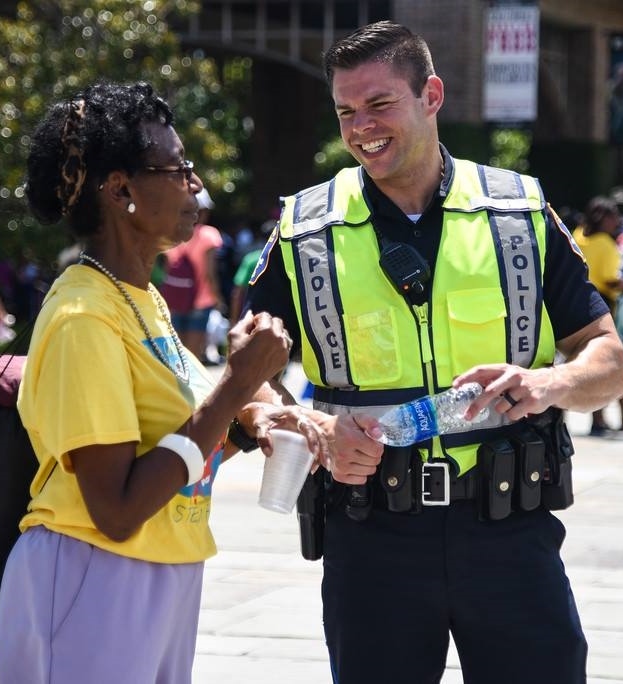 You may schedule off-duty Charleston police officers to provide security for your event that takes place within the City of Charleston. However, the department makes no expressed guarantees an off-duty job will be filled. Requests for off-duty police officers must be made at least 72 hours prior to the event. 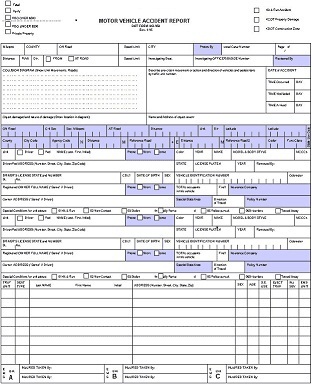 The request form (Hire an off-duty officer) must be completed in its entirety by the prospective employer and delivered to the personnel at the front desk for receipt by the Professional Standards Office or email the form. 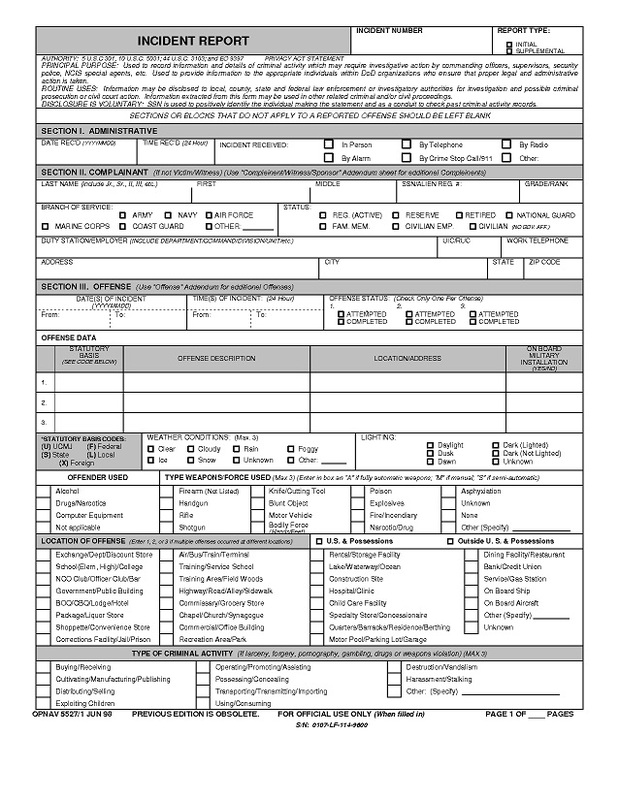 Upon completing the required form, the names of the officers requesting to be considered for the employment will be faxed to the prospective employer prior to the scheduled event. 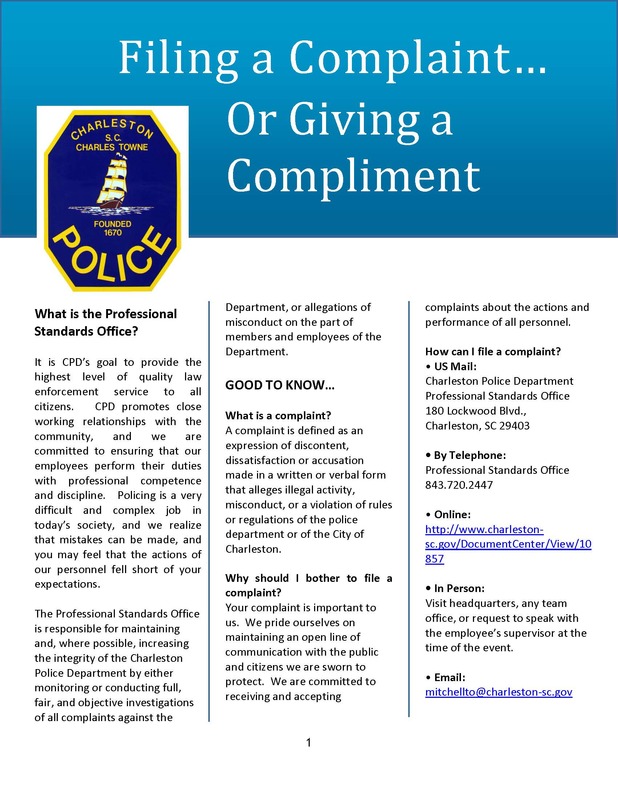 How do I file a Complaint or Compliment on an Officer? How can I participate in a ride-along? The opportunity to observe police patrol activities is offered to students and interested persons through the cooperation of the Chief of Police. Strict adherence to the following instructions is necessary in order to safeguard participants, and to minimize the possibility of interference with normal department activities. A valid form of identification is required by the Department to complete the process. All paperwork should be sent to Mrs. Olive Coleman by Email, Fax (843-973-7220) or Mail (180 Lockwood Blvd, Charleston, SC 29403). If there are any questions, Mrs. Coleman can be reached by Email or Phone (843-720-2449). Where can I use my Skateboard? There are areas in the City where skateboarding is prohibited. Please review the map to make sure you are in compliance with the restricted areas. Employees will not visibly display tattoos that are obscene, sexual, racial, or religiously discriminatory. Employees are prohibited from exhibiting any body art/brands that advocate or symbolize gang affiliation, supremacist or extremist groups or drug use. Tattoos are explicitly prohibited from being visible above the collarbone on the neck, face, or head and visible with an open collar shirt. Additionally, tattoos will not extend below the wrist onto employees hands. Excessive visible tattoos are prohibited. Excessive is defined as covering more than 30% of an exposed body part. Employees who have tattoos, body art that meet or exceed the listed criteria will be required to wear long-sleeves when representing the police department. Employees assigned to the Special Investigations Unit will be exempt from covering tattoos while in their assignment and acting in a plainclothes position. However, they must conform to this policy once relieved from their assignment or on official duty for the police department such as attending court. Command staff personnel retain final discretion when determining the appropriateness of exposed tattoos. The ordinance prohibits parking or locking a bicycle to street trees, street lights, stop signs, meters and other legal encroachments on the sidewalk of King Street between Spring Street and Market Street. Parking bicycles in such a manner impedes the public right of way creating a safety hazard for pedestrians and can block or impede the ingress and egress of public and private property. Bicycles that are in violation of this ordinance will be removed and transported to the Charleston Police Department. A storage fee of forty five dollars will be required to recover a bicycle removed under the ordinance. This ordinance is intended to create a safer and more vibrant King Street business district. The City has installed over 100 public bike parking spaces, including five new bike corrals, on King Street between Calhoun and Spring Streets to accommodate public bicycle parking in a safe and convenient manner. To register your bicycle with the Charleston Police Department, print and fill out the Bicycle Registration form and bring it to the Records Office at the Police Department headquarters at 180 Lockwood Boulevard. The cost of the registration is $1. This ordinance prohibits all vehicles for hire from picking up passengers on King Street from Spring Street to Calhoun Street and in the Market area on Friday, Saturday and Sunday from 12:30 AM to 3:00 AM. The prohibited zones are also in effect during the same hours on the following days: Memorial Day, Labor Day, New Year's Day, July 4th, November 1st and March 18th. This essentially means Thursday night through Saturday night for clarification. Taxis are asked to stage at six strategically located stands that provide taxi only parking. All of the taxi only spaces are located on the corners of King Street and the respective side streets to keep the stands visible and as close as possible to King Street itself. CLICK HERE for MAP of the King St. stands and prohibited zone. These include the existing valet stand locations along with a newly created location at the corner of Reid Street and King Street. The Market area also contains a prohibited vehicles for hire pick-up zone under the ordinance which is applicable on the above mentioned nights and times. CLICK HERE for MAP of the Market Street stands and prohibited zone. What are the rules for vehicles for hire (Taxi, Limo and Transportation Network Companies)? Please review Chapter 31, as well as the amendment to 31-212, of the Charleston City Code attached below. What does the extension of Ordinance 2015-117 (3:00 am Pilot Program) entail? Please review the attached memorandum.